Yo-Yo Ma performs Dvorak's Cello Concerto in B minor with guest conductor Juanjo Mena and the Boston Symphony Orchestra. Despite what the opulent gold inlays in Symphony Hall may suggest, the Boston Symphony Orchestra (BSO) is first and foremost a people’s orchestra. Though acclaimed as one of the most sophisticated and refined ensembles in the United States, the BSO is still is at its best when playing welling crescendos and pregnant fortissimos—their power as electrifying as it is immediately satisfying. As former music director James Levine was able to highlight this strength while also drawing nuanced and controlled playing from the ensemble, the orchestra and the maestro functioned as a single unit, each part anticipating the desires of the other. Though Levine’s absence was noticeable at times, on October 14 the BSO was led by the baton of Spanish conductor Juanjo Mena to reach the ensemble’s highest peaks and its most composed form. Renowned cellist Yo-Yo Ma ’76 joined them in a performance of Antonín Dvorák’s Cello Concerto in B minor, and he, too, surpassed his international reputation. The BSO executed the lengthy and dramatic introduction of the concerto perfectly; the double basses in particular propelled the grandiose melody with impressive force. However, throughout the rest of the first movement the BSO was unable to vacate center stage fully and turn it over to Ma. The ensemble was often behind Ma’s beat, despite his efforts at communicating with the ensemble and making sure to look around and make eye contact with first chairs of sections. 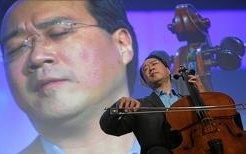 The orchestra made Ma work much harder than he should have had to as the soloist by often overpowering him in crucial moments when the cello should have been the focus. This is of course not to say that Ma couldn’t handle the BSO—it just made his command of the hall that much more extraordinary. Though he has performed the concerto many times and recorded an exceptional performance with the Berlin Philharmonic Orchestra in 1986, he proved himself an ever-growing artist, trading in his memorable light phrasing for a fresh and aesthetically thrilling schizophrenia of emotion. Within the first 24 bars of his entrance, he had showcased styles ranging from tragic to playful, all threaded still with a marked consistency. Ma’s interpretation of Dvorák’s instruction risoluto—“boldly”—avoided the common trap of sounding violent and forced; he declared himself unapologetically and evenly, sitting with broad shoulders and an open chest. His regal bearing allowed for maximally powerful bowing and unity with his instrument. Ma sustained this kind of energy and artistry for the majority of the concerto and was unaffected by the amount of projecting he had to do over the orchestra—though by the end of the 40-minute piece the double stops on the high notes had notably suffered. He was nevertheless a gracious soloist, turning to the brass section with a satisfied smile to acknowledge their explosive entrance in the second movement and handing the spotlight over to the concertmaster for the violin and cello duet in the third. The orchestra was indeed in better form after the first movement, their rhythm much tighter and their dynamics much more sensitive. Mena’s decision to leave out the traditional pause between movements added to the bravado of the finale, and special mention must go to the triangle player, who loudly announced the frenzy to follow. Though arguably overdone, the crisp, metallic ring that filled the hall was somehow appropriate, not to mention intensely gratifying. Unfortunately, the phrase leading into the final notes of the concerto left something to be desired: though Dvorák gives it a pianissimo marking, his harmonically strange chords must be played with conviction in order to sound intentional. The ensemble’s tentative introduction to the crescendo gave it a shaky start, but by the final eight bars the BSO was doing what it does best—showing off its fortissimos in full strength. There was absolutely no trace of the problems that plagued the BSO in the first half of the concert in its performance of Béla Bartók’s Ballet in one act “The Wooden Prince.” The repertoire decision was a wise one: not only is a program of Bartók and Dvorák coherent as both composers rely on folk melodies, but a work like “The Wooden Prince” allows an orchestra to push the limits of its virtuosity—a great piece to let the BSO shine after taking back seat to Yo-Yo Ma’s performance. Mena took the reins and brought out the control in the ensemble—much like Levine did—starting from the subtle first few beats and continuing to push them towards a surprising and wide range of sounds. Each restated theme was different from the previous one in dynamics and phrasing and brought attention to the plot twists of the work. The percussionists—who accented the dance rhythms with their masterful castanets and xylophone and provided the steady backbone for the piece—were partially to credit for this successful variety. The BSO faces a time of uncertainty with the resignation of James Levine, and some have voiced concerns about the how the lack of leadership will affect the ensemble. This performance is enough to put anyone at ease. Though Yo-Yo Ma was undoubtedly the star of the performance, the synergy between Mena and the ensemble was no less astonishing. You're Not Old? Awesome, You Get in Cheaper. 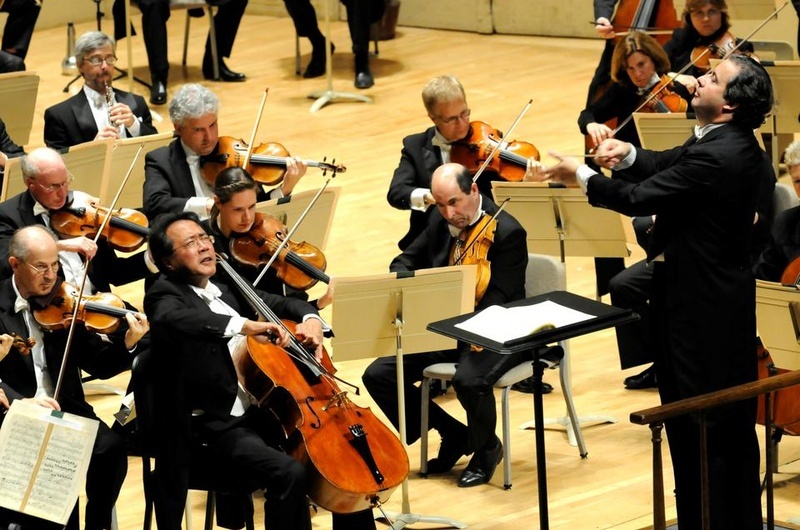 On Friday, October 9 at Symphony Hall, the BSO took on this challenge with impressive spirit, and succeeded in bringing those present a thoroughly transcendental aesthetic experience. On February 3 at Symphony Hall, the Boston Symphony Orchestra (BSO) will be showcasing works by fashion students from around the Boston area. The BSO coupled restraint with its trademark power to spellbinding effect.